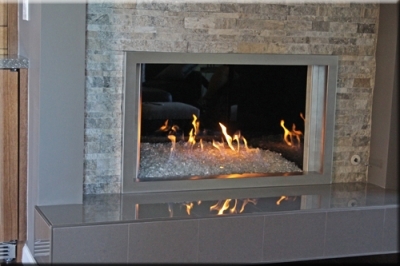 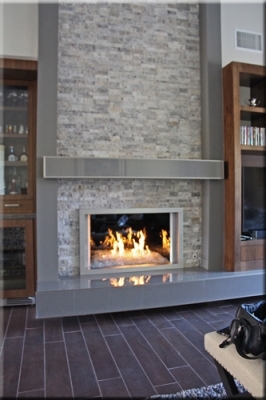 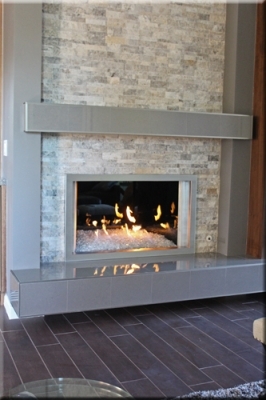 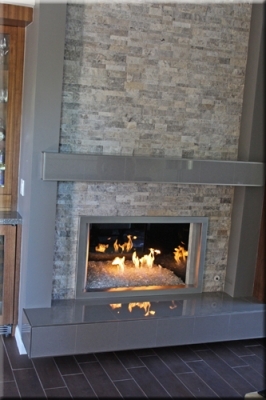 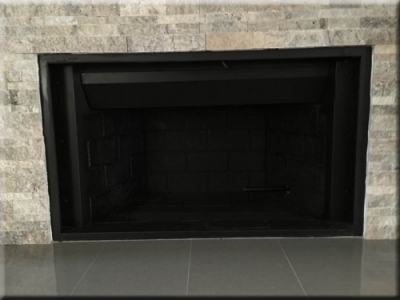 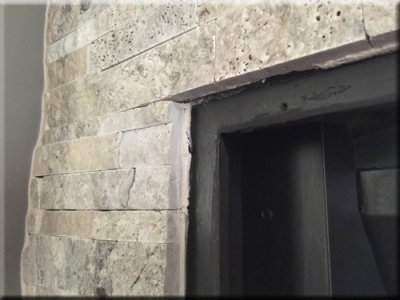 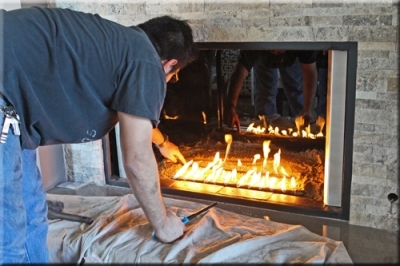 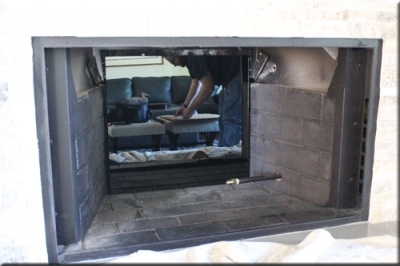 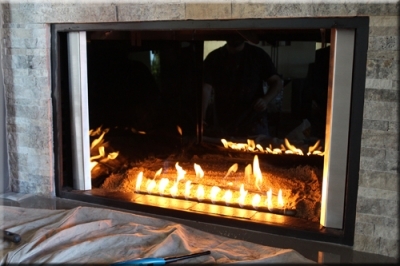 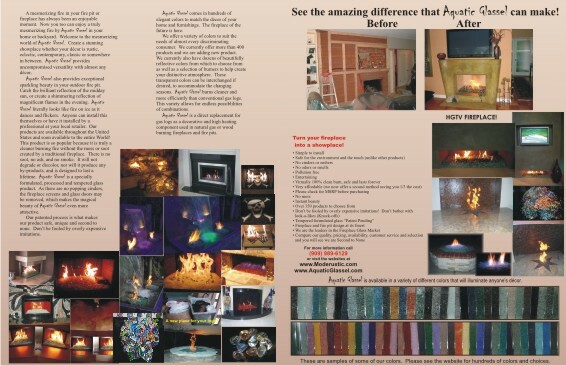 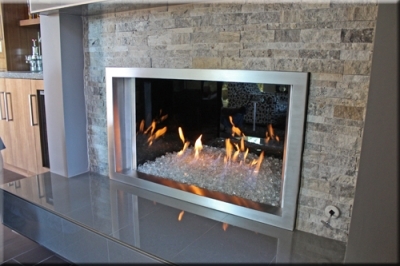 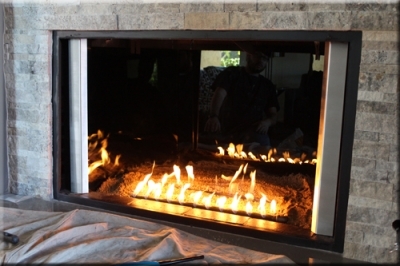 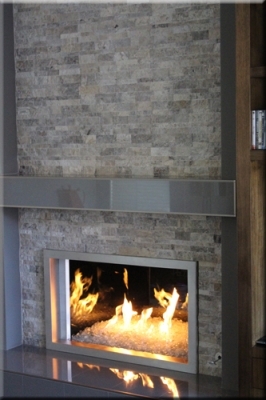 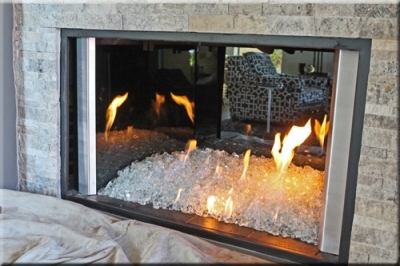 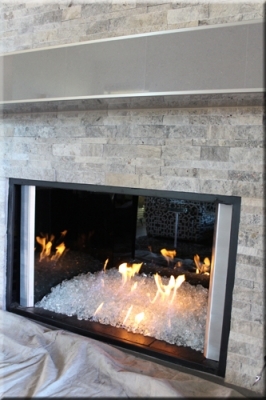 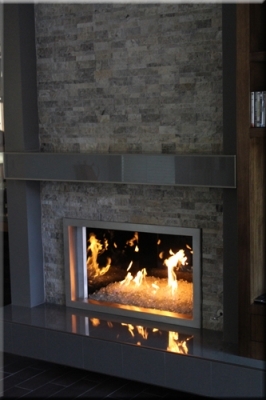 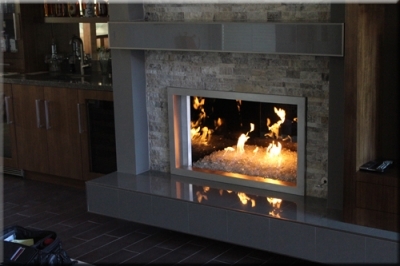 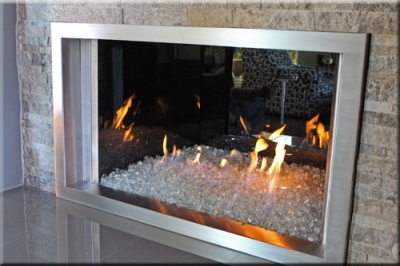 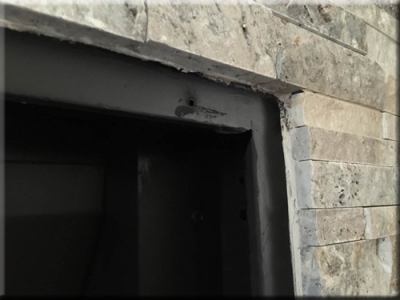 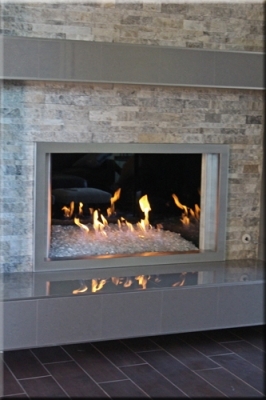 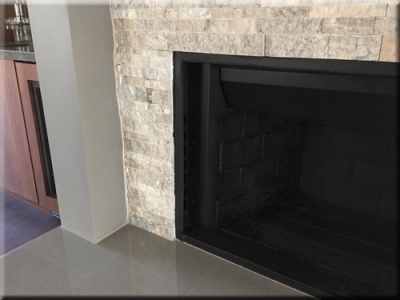 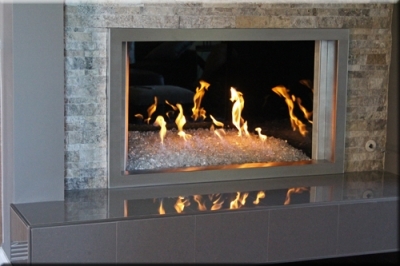 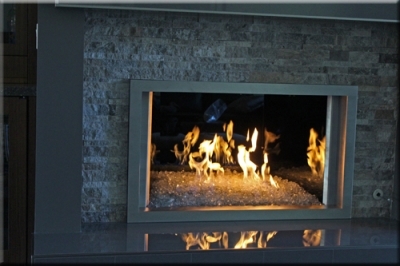 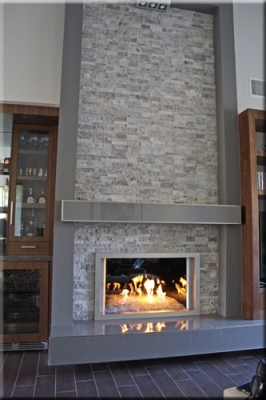 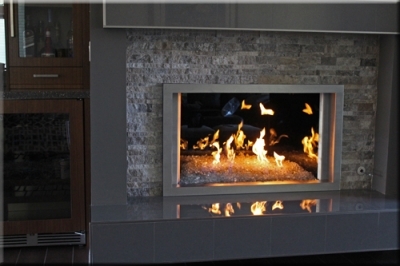 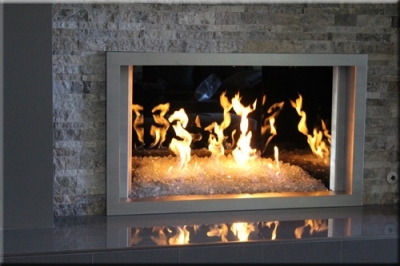 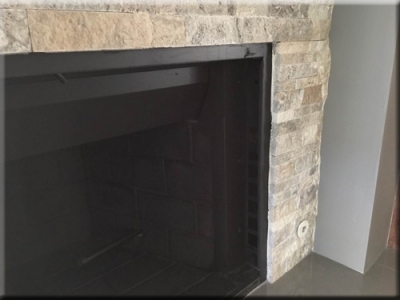 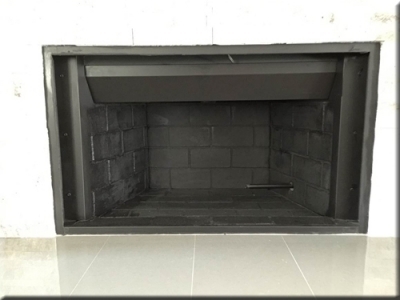 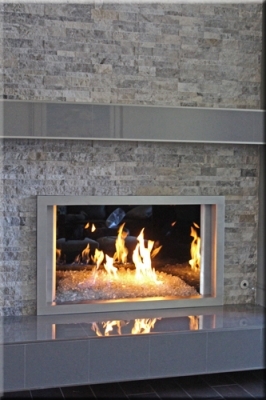 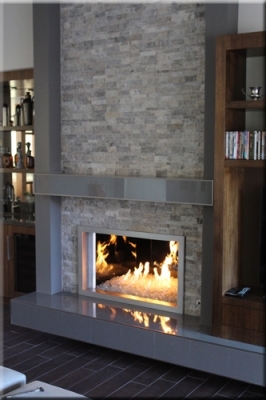 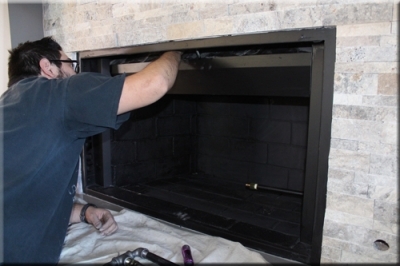 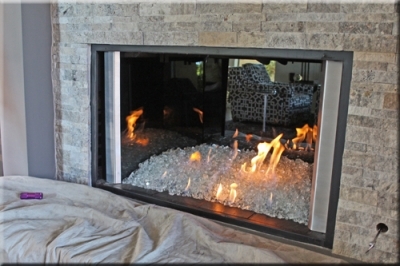 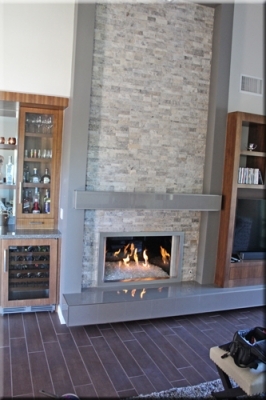 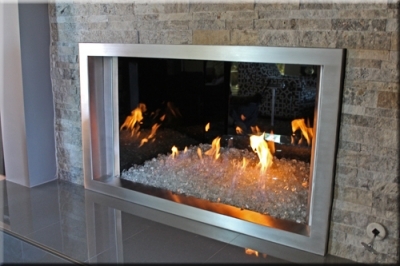 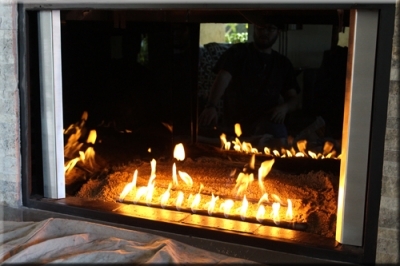 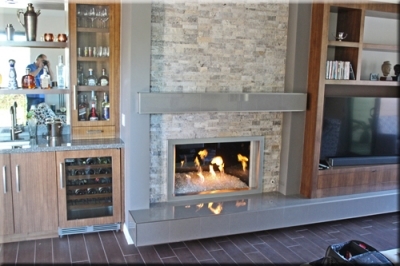 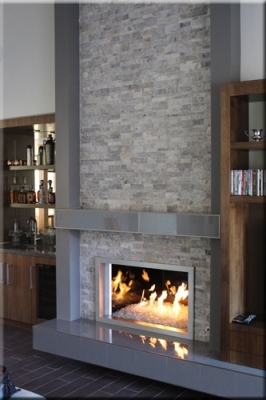 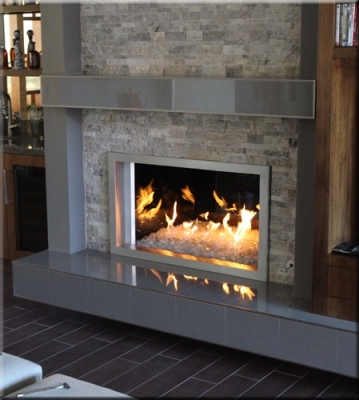 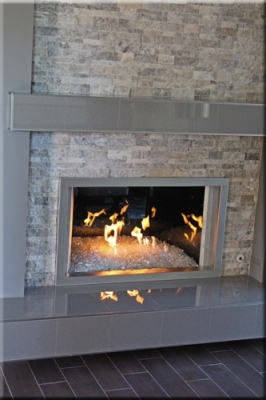 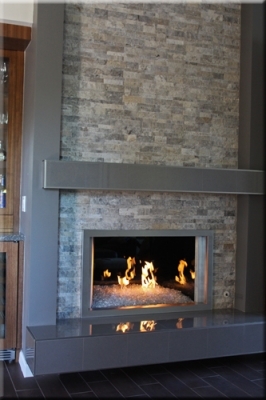 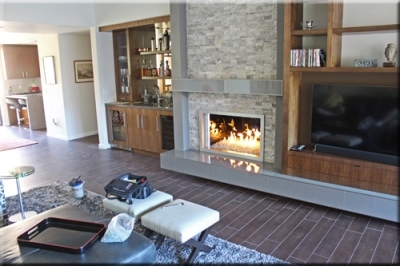 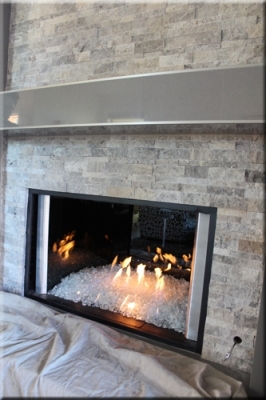 The fireplace surround below was for Larry Kraines in Palm Springs. 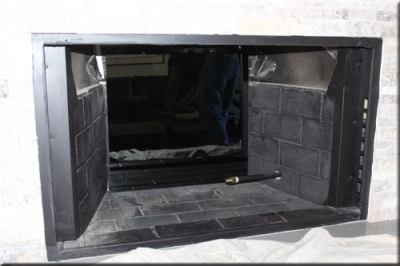 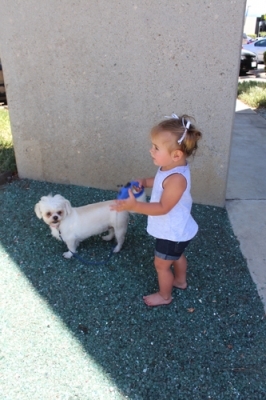 Then we added 1/4" Platinum Base Glass. 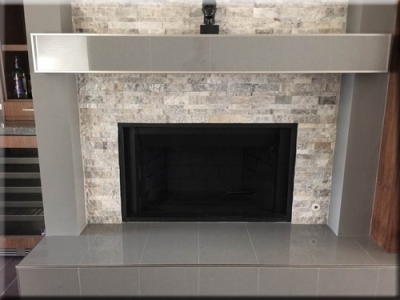 The fireplace below is what we started with. 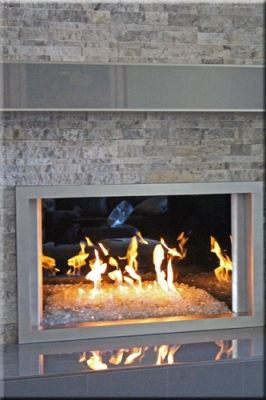 Now the Sterling Silver Panels go in.